The Ogaden national Liberation Front Army- is continuing its offensive against Ethiopian Army troops in the Ogaden. During the months of October and the beginning of November It has conducted 34 tactical and strategic military operations, killing 267 Ethiopian Army Soldiers and wounding 157. Casualty on the ONLF side was minimal. The latest fighting occurred on November 4, 2010 near the strategic town of Babile, which lies on the road between Harar and Jigjiga, a main supply route for the Ethiopian Army in the Ogaden. The liberation forces attacked and captured the Ethiopian Army garrison of Dhalac near Babile guarding that strategic route, killing 25 soldiers and wounding 32, while the rest retreated to Babile. The Liberation Army destroyed the garrison, burning a military vehicle and capturing large stockpiles of food, medicine and ammunition. In addition, the Liberation Army seized 24 Ak-47 assault rifles, 2 heavy machine-guns and 3 RT military communication Radios. 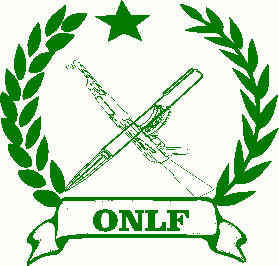 Since mid-2009, the ONLF liberation Army has seized the military initiative and Ethiopia has been forced to be on the defensive while trying to hide its military weakness by engaging in propaganda war, falsely claiming peace deals with surrogates it created, nicknaming them an ONLF faction. The Ogaden National Liberation Army will continue pounding Ethiopian government establishments in the Ogaden until the rights of the Ogaden Somali people to genuine self-determination is implemented.